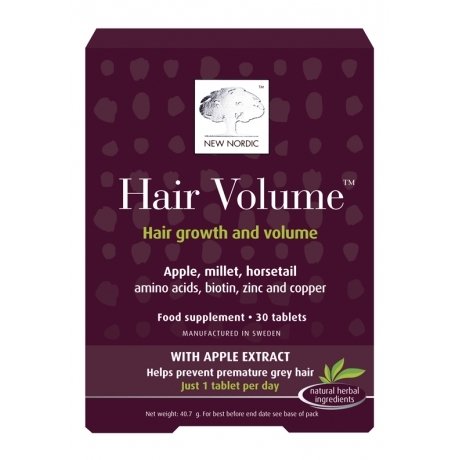 Hair Volume™ is the tablet you need to maintain a normal voluminous hair growth. The unique bioactive nutrient hair growth factor combination contained in each tablet nourishes and activates the life processes of hair follicle cells. The tablet works from the inside out. The tablet, which is manufactured in Sweden contains micronutrients and herbal extracts including apple extract rich in procyanidin B2.